What if you had access to nutrition-packed super foods for free? What if you could literally load the back of your car with such a food? What if those foods offered exercise and fresh air at the same time? 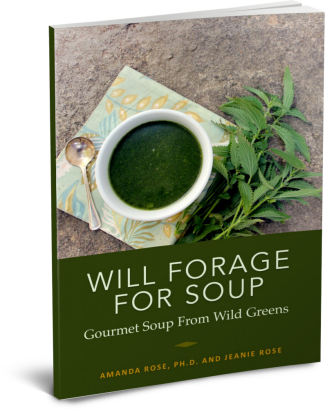 While we have foraged for years, we took our foraging to a new level in the spring of 2012, foraging for wild greens to pack into a dense greens soup. We ate bowl-full after bowl-full, loaded our car with more greens, and packed our freezer with greens for the year. Then we did it a second year and got friends to do it too. We could all feel a powerful difference in our health from the rich nutrition. 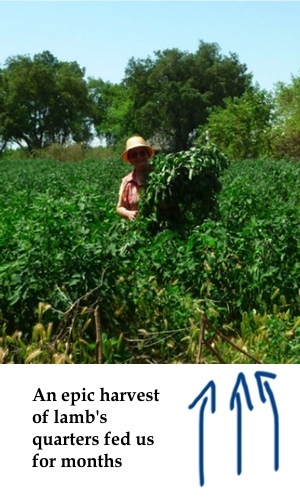 Of course, if we ever had to live on greens soup with the abundance of greens in our local area, we are far better tooled now than we ever would have been. Build your health and add to your sustainability and survival toolkit at the same time by mastering the preparation of gourmet soups from foraged greens. The most common greens for foraging, their flavor, and resources on where to find them. How to clean greens for soup. Preserving your bounty in the freezer with very little space required. Combining greens in soup for best flavor. Blanching versus boiling your greens– nutritional considerations. How to make a nutritious and flavorful soup base with vegetarian options. Tips for bringing out the flavor in your soup’s seasonings. A resource on spices so that you can create your own signature soup. Six recipes using common foraged greens. This handy 34-page book gets right to the point and provides you with tools you need to understand how to cook soup, particularly soup with wild greens. You may even improve ALL of your soup-making in the process. 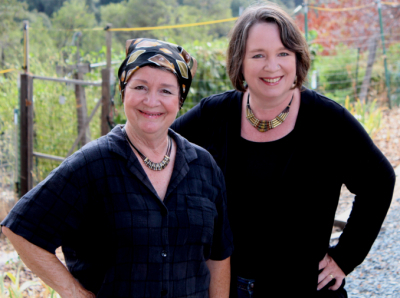 The book includes seven print-friendly recipes but, more importantly, it will help you develop your own recipes based on greens you harvest in your area. In our house, we views our greens soup as our “vitamins” — the price of this digital book is 1/6 of the cost of a quality liquid vitamin for one person for a month. That’s it. Seed your money into foraging and cooking and save real money over time. That is exactly the approach we take in our household. Buy this book at no risk to you. We are so excited about the improvement greens soup has made in our own lives that we offer you a one-year return policy. If this book does not live up to the description here (or frankly, even if you just don’t like it), send us a note with feedback sometime in the next year and we will refund your money. Check out the book. We hope you love greens soups as much as we have.